This is an absolutely beautiful home! Every room is like a designer's dream. Open, spacious, tall ceilings and spectacular views at every window! Wow! 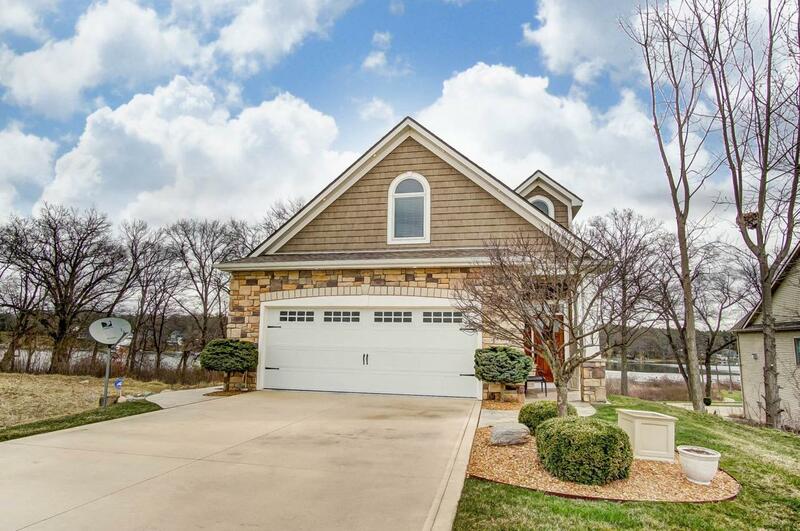 What a magnificent home on Crooked Lake. 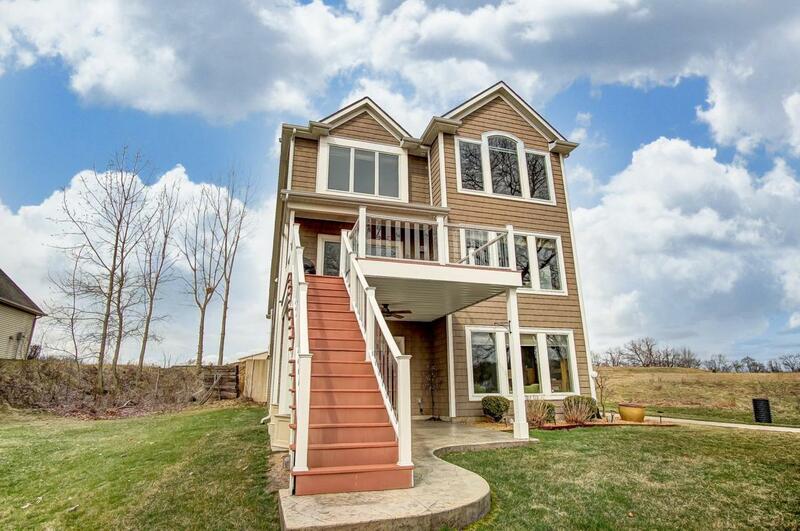 Five bedrooms, three and a half baths...lots of room for family and friends. Four bedrooms and ensuite on the second level; one bedroom on the lower level with a full bath across the hall. And wait till you see the master bedroom...exquisite views! And the walk-in master closet is enormous. 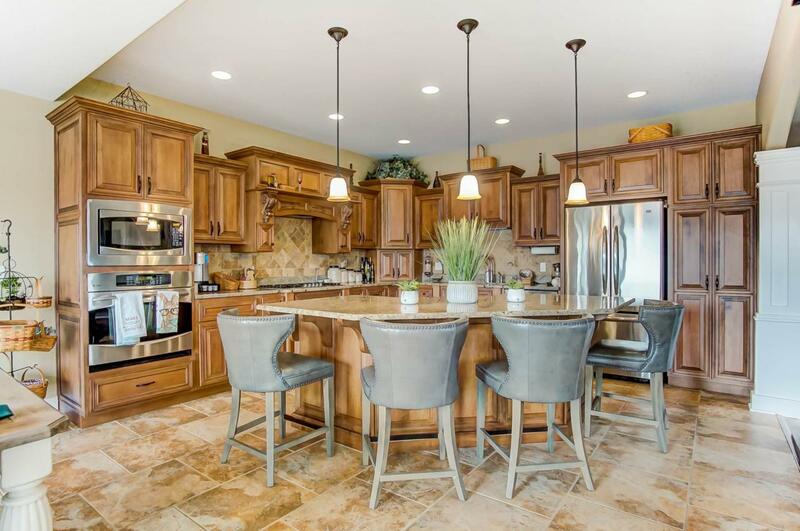 The kitchen area is stunning with granite countertops and granite island. Geothermal heat and cooling with dual zones make this a highly efficient home. Generous two-car attached garage. Plus there's an additional golf cart garage on the lower level. A beautiful gas fireplace is in the main floor living room to create ambiance throughout the whole first floor. There is an additional gas fireplace on the lower level for the family room and bar area. What a fantastic home to thoroughly enjoy and entertain! There's also an outdoor shower! As an added bonus ... the lawn maintenance and snow removal is included in the association fees. 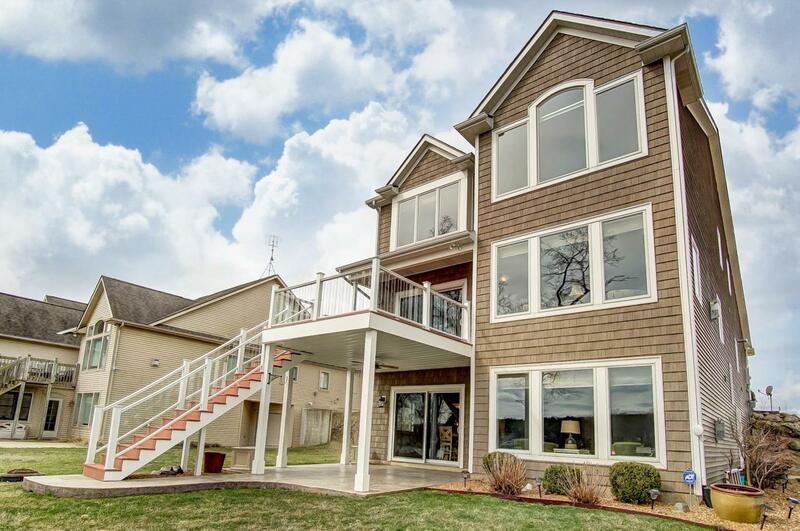 Walk down to your own dock, plus this home includes a second area at the dock to put your adirondack chairs and sit and enjoy after you get off the boat. There's also a community building near the water's edge for the residents to enjoy. Practically new boat and lift also for sale. See list agent.